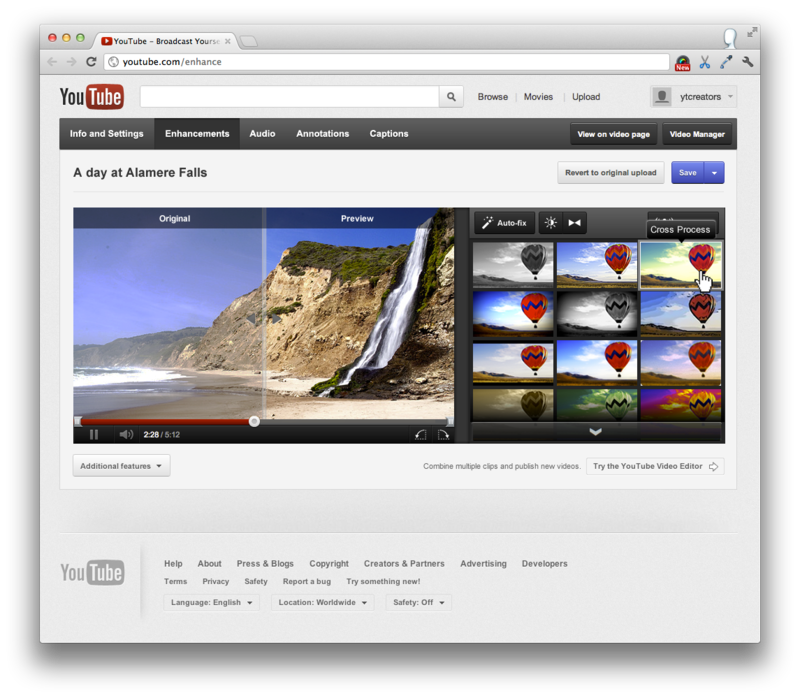 introduced editing tools for YouTube videos, allowing you to auto-stabilize footage, tweak the color balance, and more. You’ve used these tools on millions of videos each month, so today we’re making these tools even faster, easier to use, and more powerful. As a reminder, we don’t delete your original video when you make enhancements––you can revert to the original upload (or keep editing) until your video hits 10,000 views. At 10,000 views, you should consider your masterpiece complete, but you can still save the original upload under a new name. If you want even more editing features, visit the YouTube Video Editor to combine multiple clips, add titles, insert transitions and much more. John Gregg, Software Engineer, recently watched “Curiosity Has Landed”. Last September we introduced editing tools for YouTube videos, allowing you to auto-stabilize footage, tweak the color balance, and more. You’ve used these tools on millions of videos each month, so today we’re making these tools even faster, easier to use, and more powerful.